Today I have a secret recipe for one of the signature burgers served at Red Robin. The 5 Alarm Burger is loaded with pepper-jack cheese, jalapenos, salsa and a spicy chipotle mayo. If you like a bit of heat, then this burger’s for you. Melt 28 Pounds in 28 Days! Make the Chipotle Mayo Spread by combining the ingredients in a small bowl. Cover and chill until you are ready to use it. Make the Seasoning Blend by combining the ingredients in a small bowl and stir well. Store in covered container. Preheat barbecue or indoor grill to medium heat. Sprinkle a bit of the Seasoning Blend over both sides of the patty. Grill 3 to 5 minutes per side. About 1 minute before the burger is done place a couple slices of pepper jack cheese on top of the patty to melt. Toast the face of the top and bottom sesame seed bun on the grill. Spread 2 teaspoons of the Chipotle Mayo Spread on each of the toasted faces of the bun. Place hamburger patty on the bottom bun, and tomato and jalapeno slices. Spoon salsa or pico de gallo over the jalapeno slices. Add shredded lettuce and the top bun. Today I have a secret recipe for a tasty chicken wrap served at Red Robin. Of course we all know about Red Robin’s creative burgers, but they make some great chicken sandwiches as well. The whiskey river BBQ wrap is filled with grilled chicken strips, tortilla strips, lettuce, cheese and a ranch-bbq sauce. So easy to make at home, and a great way to make use of any leftover chicken you may have. 1 package of Tyson’s Grilled and Ready Chicken Strips – cooked according to package directions. Place tortilla on plate; roll with lettuce, cheese, tortilla strips and chicken. Drizzle sauce over top. Fold up tortilla bottom; fold in sides; secure with picks. 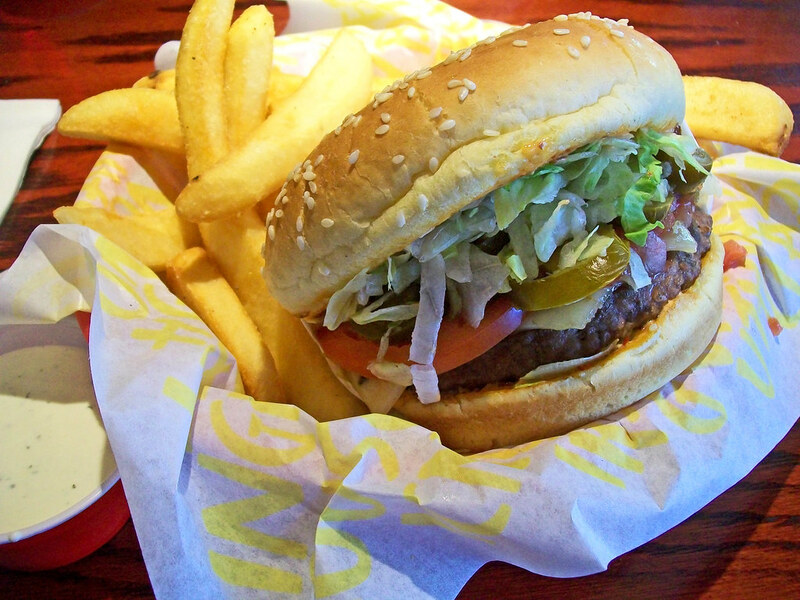 Red Robin is known for their amazing burger creations, but they have so many other tasty sandwiches on the menu. Today I have a secret recipe for a fresh and delicious chicken sandwich served at Red Robin. The California chicken sandwich is layered with grilled chicken breast, bacon, provolone cheese, lettuce, tomato and guacamole on a sesame seed bun. Serve your sandwiches with garlic Parmesan fries on the side. Start by cooking your chicken breasts. Salt and pepper them and then grill. Once the chicken is almost finished grilling, melt the provolone cheese onto the chicken breasts. Toast the sesame seed buns on the grill. On top of the buns place the chicken, followed by the guacamole, bacon, tomato, pickle, and lettuce. Add mayonnaise to the bun and close up your sandwich.